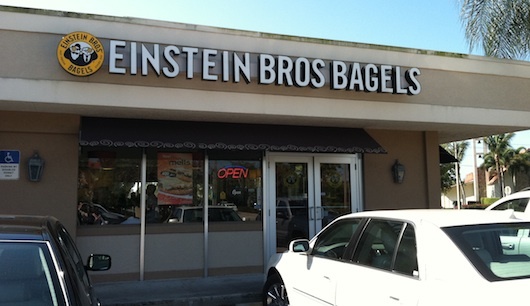 Einstein Bagels in Naples Florida is located right on US 41 which is also called Tamiami Trail or 9th Street (if you are south enough). What I really like about it is that you can pick from a variety of bagels. So if you're picky, they've probably got what you want (as long as you come in early enough because they do run out).